Vision – A community enriched by its culture and connected to its past. Mission – To celebrate and preserve Port Coquitlam’s diverse heritage and culture through community engagement. 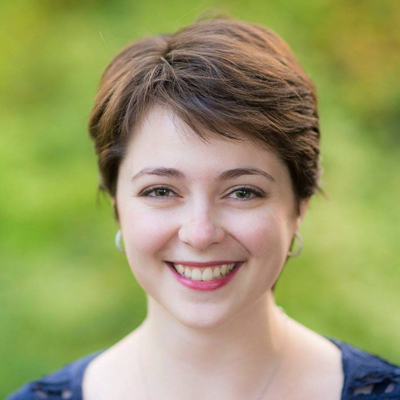 The Port Coquitlam Heritage and Cultural Society is a volunteer driven non-profit organization that operates Port Coquitlam’s only museum and archives and is dedicated to celebrating and preserving Port Coquitlam’s diverse heritage and culture. We are a registered BC not for profit society, CRA Registered Charity Number 89326 7526 RR 0001. We are thankful to The City of Port Coquitlam for providing support. 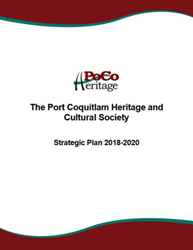 The Port Coquitlam Heritage and Cultural Society (PoCo Heritage) was founded in 1988 by Ada Con and Lois Milne, and charter member Councillor Ron Talbot, with the goal of advocating for the preservation of Port Coquitlam’s rich heritage. 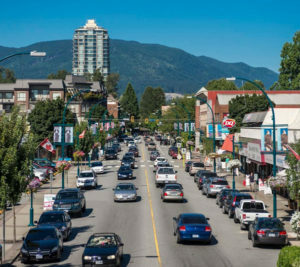 In these early years PoCo Heritage focused primarily on the preservation of heritage homes and buildings in the City, and community outreach and education. In 1997, after many years campaigning for permanent space, the City of Port Coquitlam provided support for PoCo Heritage in the form of storage space on the upper floor of the #2 Fire Hall, which allowed us to start curating a small collection of Port Coquitlam’s heritage objects. 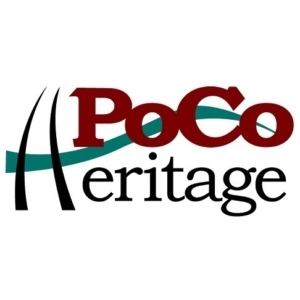 A few years later in 1999, PoCo Heritage opened Port Coquitlam’s first “mini museum” named the Heritage Display Centre on Mary Hill Road. The City’s opening of the Leigh Square Community Arts Village in 2007, created another opportunity for PoCo Heritage to expand and offer more to our community. With space provided in the Outlet building, Port Coquitlam’s old post office, PoCo Heritage opened and managed the Community Archives with a collection of City records and our own archival collection. 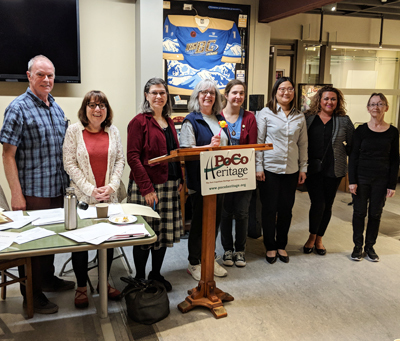 PoCo Heritage’s crowning achievement has been the successful realization of the collaborative project which led to the opening of the PoCo Heritage Museum and Archives. Port Coquitlam’s only museum was officially opened on March 7th, 2013, alongside the City of Port Coquitlam’s centennial celebrations. 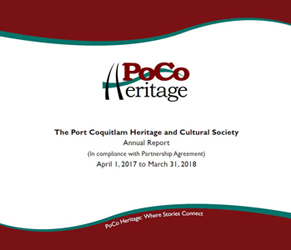 In the subsequent years the PoCo Heritage Museum and Archives has become an important pillar in the Port Coquitlam community through our exhibits, events, programming, and community collaborations and outreach. L to R : Brian Hubbard, Judy Aird, Julie Schmidt, Linda Sliworsky, Marnie Maule, Aynsley Wong-Meldrum, Amber Gregory, Meg McLaughlin.